Our offer is addressed to web portals and vortals. 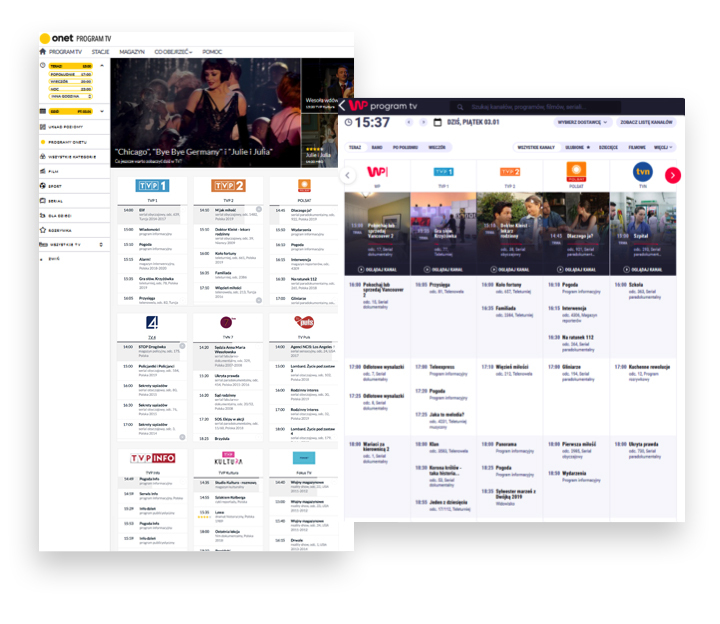 A TV service with over 600 Polish and foreign channels, including synopses and rich with photos and video trailers, is an attractive guide for every Internet user. 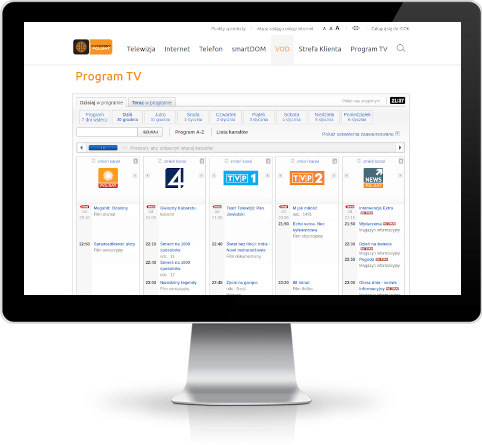 We offer TV programme data of the highest quality in all available formats with a freely adjustable number of updates. Detailed specification is always personalized according to the Customer’s needs and requirements. Do not hesitate, order a web service for your website and become our Customer! Fill in the form to receive sample data or place an order.